Are you ready for a new and exciting chapter in your career? 'Excellence in Science' is not only our motto but is also a way of life in Shimadzu. And in our continuing quest for seeking excellence, we are looking for exceptional individuals with diverse backgrounds to join our Shimadzu Family. We want people with creativity, passion, and expertise from a broad range of fields to join us in our mission to 'Contribute towards society through science and technology'. Come, be a part of the 140-year-old legacy of Shimadzu. 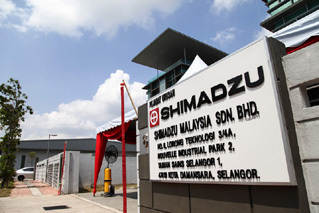 Please E-mail us your resumes at hr@shimadzu.com.my and we will get back to you depending on suitable vacancies (We regret to inform that only shortlisted candidates will be notified). Responsible for Sales Department day to day routine activities such as prepare & process order & invoicing and check Stock availability and delivery Status and etc. Provide key support in Sales Administration such as license application, Customer Contract, project status follow-up with internal & external party and etc. Attend Customer enquiries, request and complaint in a tactful and Professional manner. Proper recording & Monthly reporting and other related ad hoc report. Responsible to perform diligently on other tasks/Ad Hoc duties in relation to Sales assigned by the Superior. Experience in handling sales documentation, billing collection and leasing documentation. To assist Sales Department in day-to-day operational activities including preparation of quotations/tender documents, coordination of delivery status, data entry and sales status reports. Prepares all documentations relates to handling & forwarding matter or both import & export. To assist Sales teams in preparing sales brochures, sales kits, other marketing matter such as exhibition matter and etc. Responsible to perform diligently on other tasks/jobs in relation to Sales that will be assigned by the Superior. Candidate must possess at least a Professional Certificate, Diploma, Advanced/Higher/Graduate Diploma, Bachelor's Degree, Post Graduate Diploma, Professional Degree, related field. Good command of written and spoken Bahasa Malaysia and English and Other languages is a bonus. Must exude confidence, hardworking and honest. At least 1 years working experience. Responsible for Sales Department day to day routine activities focusing on achieving assigned sales target in assigned territories for product / services assigned, including but not limited to Chromatographic Instrument, Spectroscopy Instrument, Mass Spectrometry Instrument, Life Sciences Instrument and Environmental Instrument and other related product specifically in Klang Valley area. Provide department manager with market updates, competitor activities and business opportunity and other relevant market information. Provide support and assistance to department manager to ensure every sales order can be complete on time including but not limited to payment collection, tax exemption approval, license application, Customer Contract, project status follow-up with internal & external party and etc. To prepare weekly update and monthly sales funnel reporting to department manager. To participate in all training activities undertaken by the department and the company. To participate in all initiative and growth strategies undertaken by the department and company. Responsible for Sales Department day to day routine activities focusing on achieving assigned sales target in assigned territories for product/services assigned, including but not limited to Chromatographic Instrument, Spectroscopy Instrument, Mass Spectrometry Instrument, Life Sciences Instrument and Environmental Instrument and other related product specifically in JOHOR BAHRU state.